The pumpkin cheesecake from Baskin Robbins 31 Flavors. Better known to me as BR31. If you’ve ever tried the pumpkin cheesecake from The Cheesecake Factory and loved it, like I do. Then you will absolutely want to try this! The Oreo cookie, you can ask for to make this an ice cream sandwich instead of a cup, was the best decision I’ve ever made (not really, but you get the point). 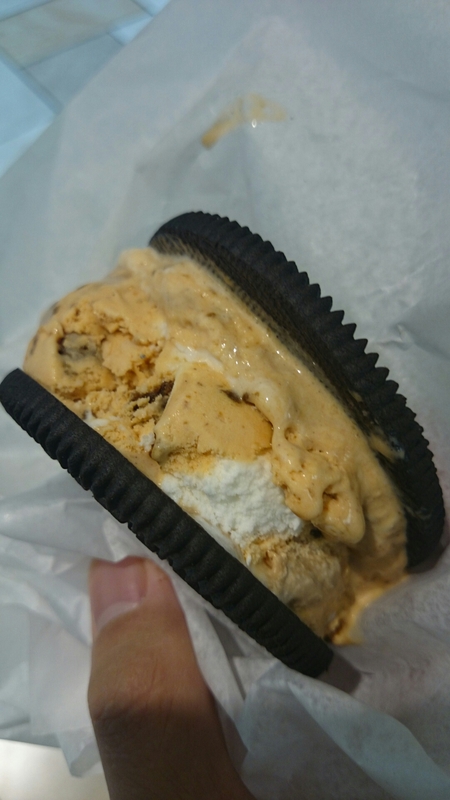 It’s just like eating pumpkin cheesecake with an Oreo crust, except it’s ice cream! I’m an ice cream fan to begin with, so this became an instant favorite. If this is only a seasonal flavor, I’m looking forward to eating it every season from now on.